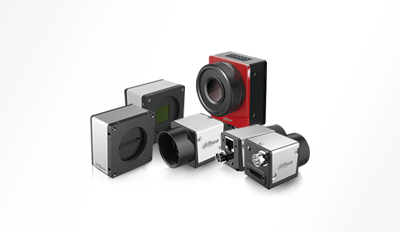 The new machine vision product lineup focuses on “turning vision into productivity” for industrial and manufacturing applications via camera/lens products. Leveraging 20+ years of know-how in image acquisition and processing, and as world’s top 3 surveillance camera supplier, Dahua designs and manufactures various high-performance industrial cameras with large throughput and high accuracy. The machine vision product portfolio includes area scan cameras, line scan cameras, smart cameras, 3D measurement cameras, and industrial lenses covering a wide range of resolutions from 0.3MP to 50MP.The camera interface supports Gigabit Ethernet, USB 3.0, CoaXPress, and Camera Link to satisfy diverse project requirements. The products are widely used for OCR recognition, industrial defect inspection, target identification, traffic control solutions, entertainment monitoring, medical and life science, and other applications.